Pre-requisites – Prospective trainees should be experienced and qualified arboriculturists with an in-depth knowledge of plant and arboricultural science, including a thorough knowledge of wood decaying fungi, identification and interpretation of signs and symptoms of ill health and structural failure across a wide range of tree species and circumstances. They should be thoroughly experienced in carrying out tree inspection and survey. A basic knowledge of the works of Alex Shigo and Claus Matteck is a requirement to attend this course. This professional tree inspection training course will train you in how to specify the necessary remedial works and record the inspection process; this would then form a part of a defensible system. The course is not aimed at covering report writing; however, presentation of findings will be examined and advice given. You will be professionally involved in arboriculture – specifically tree inspection. You must be an experienced and qualified arboriculturist with an in-depth knowledge of plant and arboricultural science. 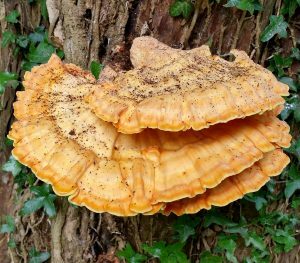 This will need to include a thorough knowledge of wood decaying fungi, identification and interpretation of signs and symptoms of ill health and structural failure across a wide range of tree species and circumstances. You will also need to be thoroughly experienced in carrying out tree inspections and surveys. At the end of the course you will undertake a competence based assessment directly related to tree inspection. Once you have passed this assessment you will receive a Lantra Awards Certificate of Training and Assessment for Professional Tree Inspection.